Francis Alÿs (b. 1959, Antwerp) is an interdisciplinary conceptual artist, working in installation, video, painting, drawing, photography and performance to address issues of geopolitical and social conflict in urban environments. Trained as an architect, Alÿs moved to Mexico City in 1986, where he began making public performance works as meditations on the experience of urban living. These interventions into urban space reflect conditions of dynamic unrest among communities living on Latin American borders. Alÿs confronts issues of globalism through Sisyphean episodes: pushing a block of ice down the streets of Mexico City until it is melted completely (Sometimes Making Something Leads to Nothing, 1997); walking the streets of São Paulo and Jerusalem with a dripping can of paint to mark national borders (The Green Line (Sometimes doing something poetic can become political and sometimes doing something political can become poetic), 2005); and shoveling a mound of sand from one side of a dune to the other in Lima, Peru (When Faith Moves Mountains, 2002). Sin Titulo (Untitled) contains two paintings of varying size: the smaller work done by Alÿs; the larger by Emilio Rivera in enamel on metal, a method commonly used in commercial advertisement. 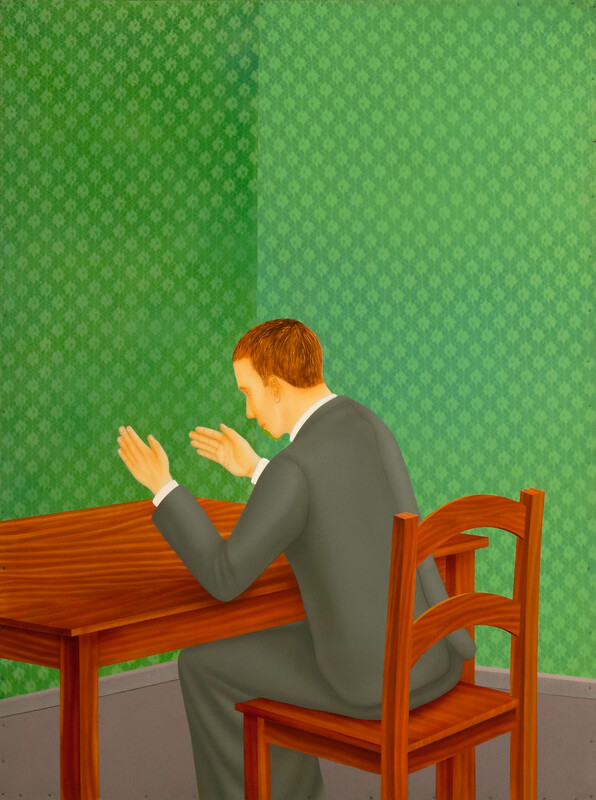 The diptych depicts a suited man seated presumably in a nondescript courtroom. 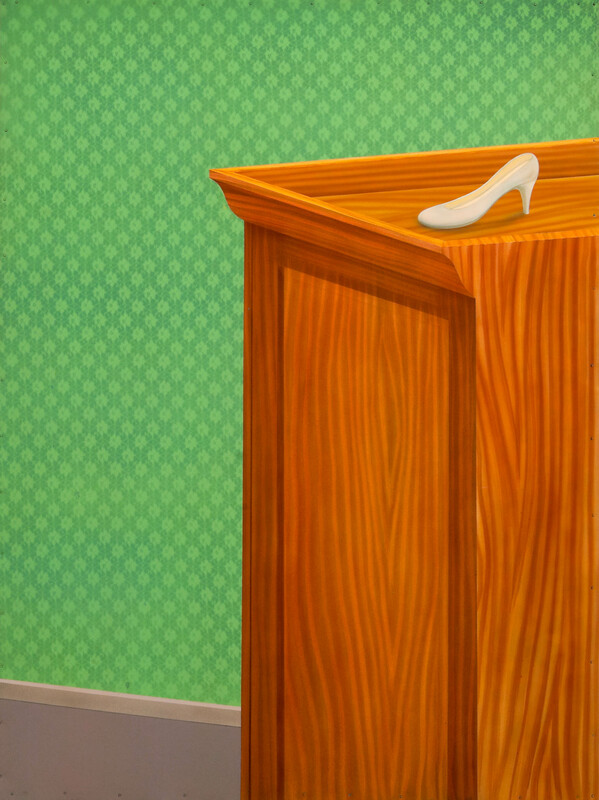 Irregularities (here, a high heel shoe takes the place of a gavel on a courtroom bench) evoke a quiet, yet unsettling disruption of perceptual logic. This slip in viewer perception reminds of the shifting intricacies embedded in collective consciousness. Alÿs’s solo exhibitions at major international institutions include Museum of Contemporary Art, Tokyo; Tate Modern, London; Wiels Centre d’Art Contemporain, Brussels; The Museum of Modern Art, New York; and Hammer Museum, Los Angeles; among others. His work features in permanent collections at the Philadelphia Museum of Art, Philadelphia; Art Institute of Chicago, Chicago; Solomon R. Guggenheim Museum, New York; and Stedelijk Museum, Amsterdam; among many others. The artist lives and works in Mexico City.